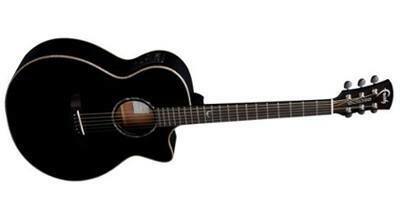 →What is the Best Acoustic Guitar Under $1000? If you have been playing acoustic guitar for a while, it might be time to purchase a higher quality instrument. Beginner guitars only last so long, and even lower middle price range guitars tend to wear down and lose their magic after so many sonic miles. After you have paid your dues, or simply when you feel that you have outgrown the cheaper instruments you’ve been playing, moving on to better instruments, in higher price ranges, might very well be what you need to do in order to continue growing creatively and artistically. With a higher budget, your range of options broadens considerably, which is both a blessing and a curse. More choices means the possibility for more indecision and even more chances to spend your money regretfully. Knowing what to look for in a guitar will allow you to find the perfect guitar to suit your playing needs. It will also diminish the possibility of buying the wrong instrument and having to live with the regret. So what should you consider when buying a guitar for under $1000? Well, there are a few things. Build quality is the absolute most important aspect of an instrument when you are spending up to $1000. When you are spending that much money on an instrument, there shouldn’t be very many blemishes or imperfections. While mass produced guitars are never going to be perfect, fret dents, sharps fret ends, peeling binding, chipped finish and improperly installed bridges/nuts are things that you should not tolerate or overlook. Exotic woods and common woods used to make instruments in the $1000 range are going to be of higher quality than those used to make a $400 guitar. Thus, a guitar in this price bracket is going to sound a lot clearer, a lot punchier, and a lot sharper than a cheaper instrument. So if the guitar doesn’t exceed your expectations, chances are it isn’t made with the quality of wood that you are paying so much extra for. Pickups become an option around the $600 range, so if you are looking for an electric acoustic, you are going to have far more options available to you in terms of electronics than you had previously. It is important that you take the time to test out any guitar you are considering on a variety of amps, so that you can see how the woods and how the electronics react with various amplifiers. This way, you get a more detailed picture of what the instrument is capable of and what types of tones (and depths of sound) you can reasonably expect it to achieve. Personal taste is definitely going to play a large role in your purchase, but having a starting point is important and will help you get on the right track to finding the perfect acoustic for you. Any of the following guitars would be a sound investment and will provide you with beautiful tone, excellent playability and high quality craftsmanship. Seagull’s Mosaic is a cedar topped guitar providing a wider mid-range which is evened out by mahogany sides and back. Supplemented by the build quality that Seagull Guitars is known for, the Mosaic is a solid instrument that offers remarkable tonality and a flexible sound perfect for any genre, from alt folk to country. 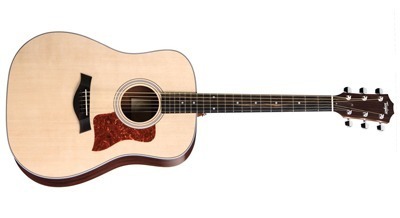 The Taylor 110e is a full sized dreadnaught perfect for guitarists of any level. Ideal for stage performance due to its massive, full bodied sound and powerful resonance, the 110e displays Taylor’s craftsmanship at its finest. The 110e also marks a new chapter in Taylor’s legacy, as it makes use of the ES-T Expression System pickup to bring the guitar to life as an electric. Faith's Eclipse line has been a popular choice for gigging musicians for almost a decade. With the addition of a stereo preamp, the Eclipse Venus takes the popular and gorgeous classic Eclipse line to a whole new level. Sleek and dark, the Eclipse Venus definitely lives up to its name, and for under $1000, it’s an absolute steal. The Taylor 200 series is one of the company’s most popular series due to its affordability and high quality. 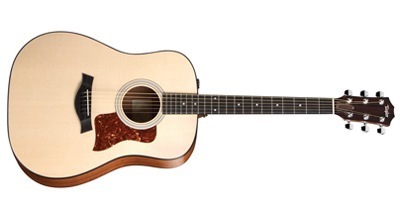 Sporting a Sitka spruce top rounded off with rosewood back and sides, the Taylor 210 is one of the most characteristic models on the 200 series line as its wood choices lend it a unique and somewhat exotic voice that can raise gooseflesh on the arms of an audience of five or send chills up the spines of 300. 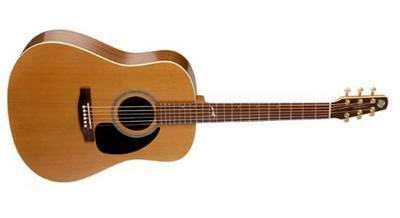 Martin is never a manufacturer to ignore and they prove this with the 000CXE. Distinctive and appealing, the 000CXE is a high pressure laminate acoustic made of a variety of traditional tone woods, pressed in to a tone-packed black guitar reminiscent of a stallion. 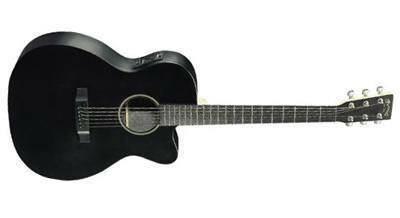 Fully electronic, with a built in adjustable EQ system and Martin’s patented Onboard Prefix Pro preamp system, this guitar is just as comfortable in a small café as it is in a concert hall. The preamp system can also be easily removed via the Martin flip top system, meaning that this guitar can be played fully naked and enjoyed as a pure acoustic just as easily as it can be plugged in and used through an amplifier.